I've posted a very similar photo to this before, shortly after I returned from my Shanghai Disneyland visit last year. But dagnabbit (do people say "dagnabbit" anymore? ), this is one of the few sunny day photos I have from the park, and it's a lovely scene. 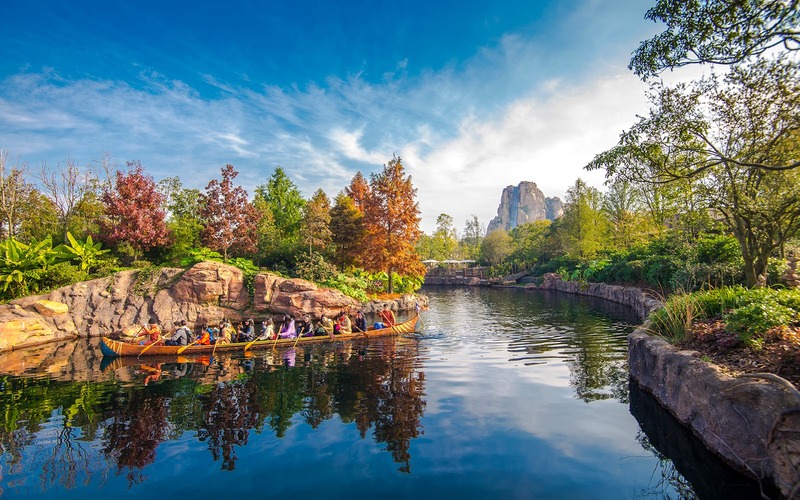 So you get this photo of Adventure Isle, with an Explorer Canoe paddling through the mid-ground. And hopefully, you enjoy it.